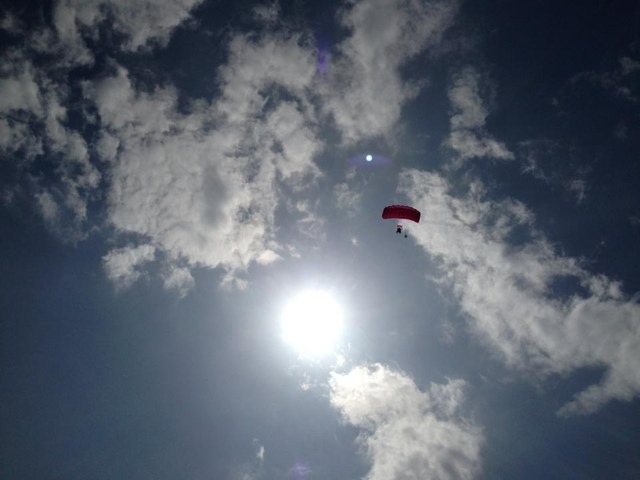 Yesterday my daughter Meredith jumped out of a plane. That's her way up in the sky. This was her fourth jump, but I still pray like crazy. She landed safe and sound. Thank You, thank You, thank You, God, for protecting my baby girl.